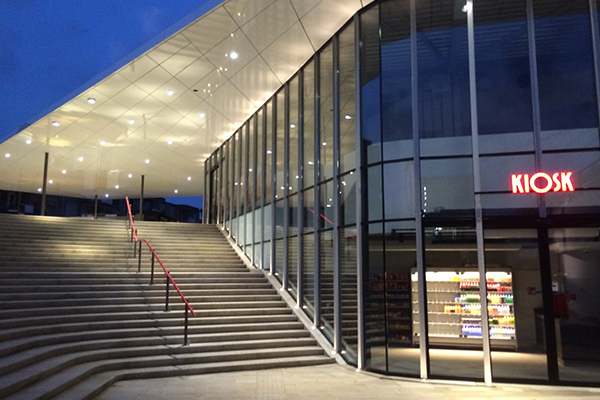 For the new station area of Harderwijk designed by GroupA, Beersnielsen developed the lighting design. 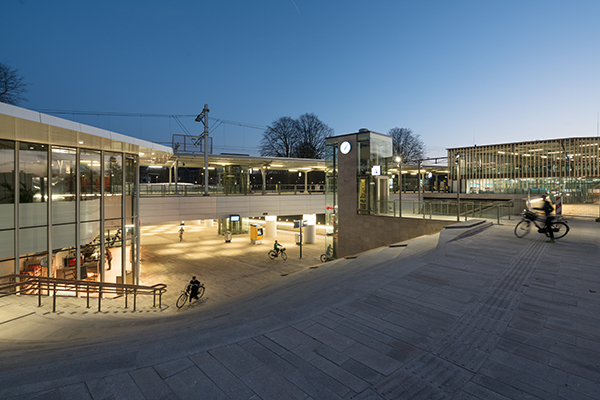 The station area Harderwijk is an example of a new type of station: an infrastructural hub with the quality of an attractive public place. 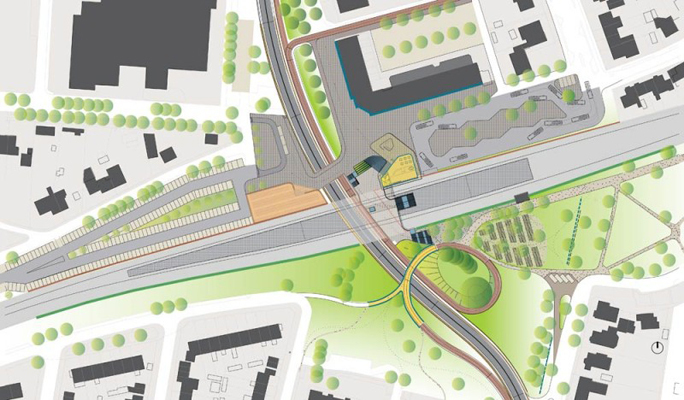 A combination of both a train and bus station, a bicycle parking for 1,500 bikes, an intersection of routes for cyclists, pedestrians, cars, buses and the train. A public square with facilities and residential buildings on the north side and a park strip on the south site of the area. To realize this project all the different parties involved worked intensively together within an integral approach. 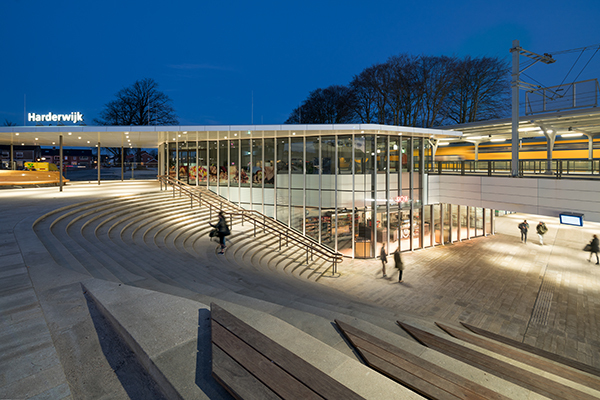 The lighting plan by Beersnielsen supports and integrates the wide variety of specific requirements. To achieve this Beersnielsen focused on the experience of the end users of the new facility. Besides brightness, routing, orientation, changing atmospheres and identity, it is important that the users feel welcome. 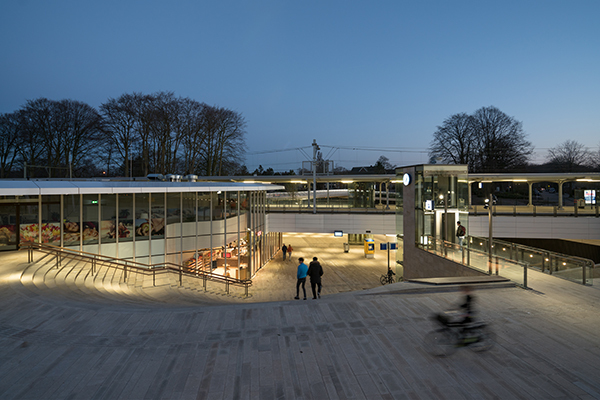 On the ‘urban’ north side, the station building is a light beacon to attract travelers intuitively to the bright light. On the square adjacent to the station the number of lighting masts is limited and the fixtures are combined to enhance the idea of openness. 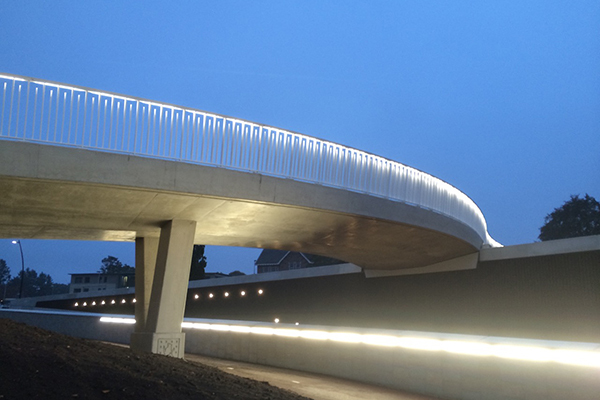 The lighting contains contrasts here to emphasize that pedestrians have priority and cyclists are temporary guests. Also the trees on the edge of the square are illuminated. The bus station is brighter with smooth transitions between the light levels of the bus, the platforms and their direct surroundings. Here too, the number of light masts is minimized and the fixtures are combined to create a clear and clean overview. The tunnel connects the north and the south and is used by pedestrians, bicycles and cars. It also contains access to the trains. By making clear choices which areas are illuminated, the users can be guided. Stairs and elevators have clear bright lights to enhance orientation and emphasize the change in floor levels. The tunnel is provided with a functional bright light that emphasizes the perception of the tunnel as one continuous space. The southern ‘park side’ celebrates the green character of the area. 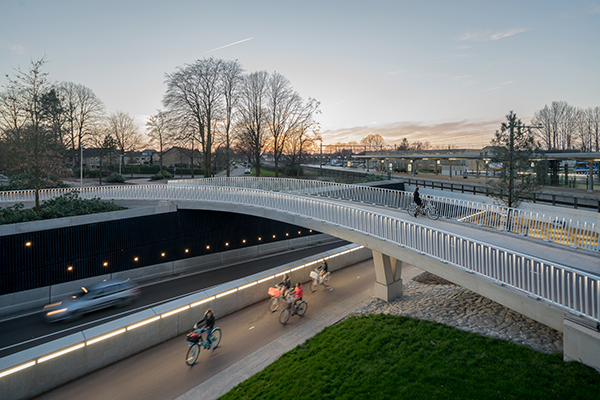 The bike lane circles around a big tree that is illuminated as a ‘green beacon’ and the light fixtures are minimized and integrated in their direct surroundings as much as possible, hidden in the ground, the wall or integrated in the railing of the bicycle bridge. At the bicycle parking the light levels are higher to create a clear overview, to retrieve your bike easily and to feel safe. The lighting plan anticipates different desired light solutions during the day by changing programmed lighting scenes.